For decades, there were no official Star Wars sequel movies in the works. Return of the Jedi was as far as the movies were going to go. 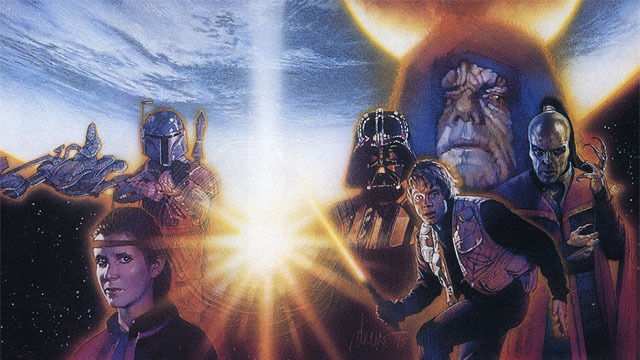 But in the ‘90s, the Star Wars Expanded Universe picked up steam and revived interest in new Star Wars stories years before George Lucas got around to making the prequel trilogy. When Disney purchased Lucasfilm, the Expanded Universe stories became “Legends” and were largely wiped away in favor of a new continuity that Star Wars: The Force Awakens represents. Some fans would argue that a few of the Legends Star Wars stories were better than the new film, but the massive box office of The Force Awakens offered a rebuttal of its own. Fans clearly want more Star Wars movies, and it’s hard to argue with that level of success. 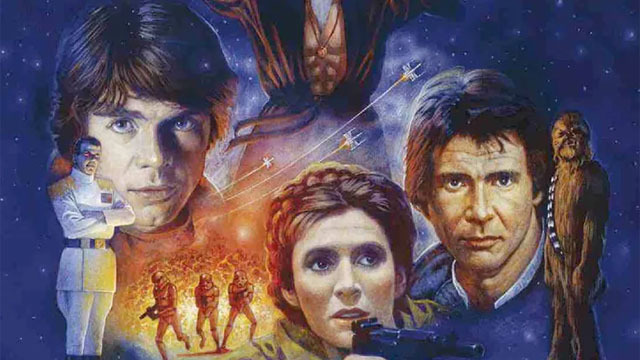 While the new Star Wars novels and ancillary materials have already contradicted several of the most popular Expanded Universe stories, there appears to be some room for characters and events from the EU to be reintroduced into the updated continuity. The best example of that is Grand Admiral Thrawn, the fan-favorite villain who recently returned in the third season of Disney XD‘s Star Wars Rebels. Thrawn may be the exception, but we hope he’s not the last breakout character to find life within the new regime. Ahead of Rogue One: A Star Wars Story’s release on Friday, December 16, ComingSoon.net has assembled a list of the EU Star Wars stories that we’d like to one day see on the big screen. Some of them are unlikey, given the changes to the history and the events of The Force Awakens. However, we feel that some elements deserve to be revisited from each of these stories. The Expanded Universe lasted over two decades, and it would be very unfortunate to let the majority of its Star Wars stories fade away. It’s been 13 years since BioWare’s Knights of the Old Republic neatly sidestepped the prequel movies by setting the story thousands of years in the past during the height of the Jedi and the Sith. And it’s still one of our favorite Star Wars games, thanks to the engaging storyline and a great cast of characters whose fate depended upon the actions of the player’s character. 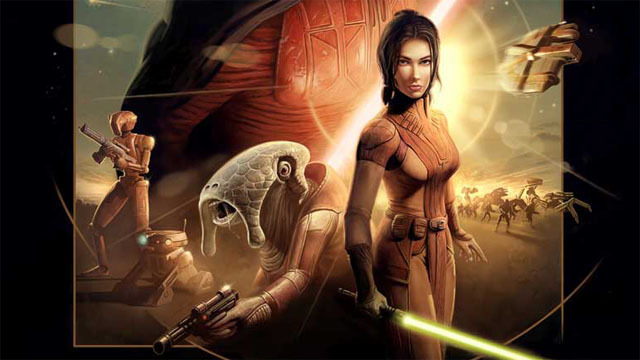 The story of Revan and Bastila Shan deserves to be retold and expanded upon, as Knights of the Old Republic II essentially left their fates undetermined, and Revan’s later appearances in The Old Republic MMORPG weren’t very satisfying. 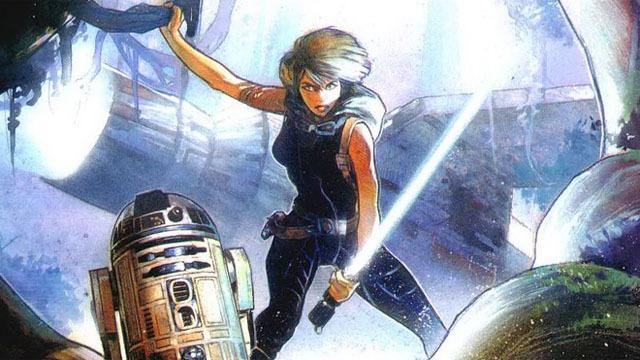 We have no idea if Lucasfilm ever intends to revisit this era in Star Wars history, but it may be the easiest part of the Expanded Universe to bring over into the new continuity. 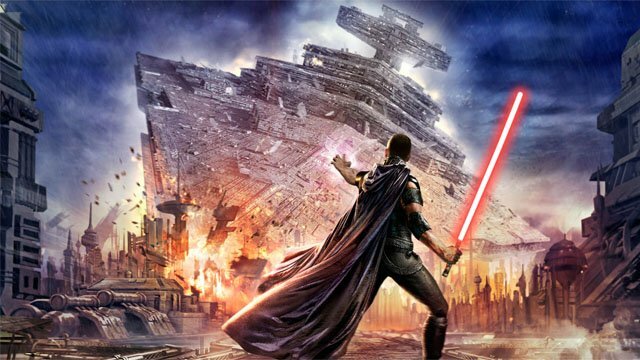 The Force Unleashed is another Star Wars video game that’s fallen out of continuity, and also largely contradicted by the new history that has been put in place. But we loved the idea of Darth Vader taking on an apprentice named Starkiller, and the absolutely crazy Force powers that Starkiller displayed during the game. That was a lot of fun to play! If Starkiller would ever return to continuity, it would probably have to be during the events of Star Wars Rebels. So, it’s not impossible… but it’s not likely to happen either. The Rebels creative team surprised us by bringing back Thrawn. Maybe Starkiller could show up in a later season to really make life hell for the Rebels. Granted, there are some silly aspects that are an inherent part of Shadows of the Empire, Lucasfilm’s attempt to give a multimedia story the same push that an actual Star Wars movie would have received. Because the updated continuity hasn’t gotten around to the post-Empire Strikes Back era, there’s still a chance that some of the elements of this tale could be brought back. We can take or leave Dash Rendar, the Han Solo substitute of Shadows of the Empire. But we’d really like to see Prince Xizor return as Vader’s primary rival, as well as Guri, Xizor’s droid assassin, who seemed to be becoming more than just a machine. While Xizor himself remains a Legend for the time being, his species, the Falleen, have since been reintroduced to the Star Wars canon via Star Wars: The Clone Wars. Shadows of the Empire also shares a link with Rogue One in that it details the events surrounding leaked plans for the second Death Star. Shadows is where to look if you’d like to learn about the many Bothans that died serving the Rebellion. 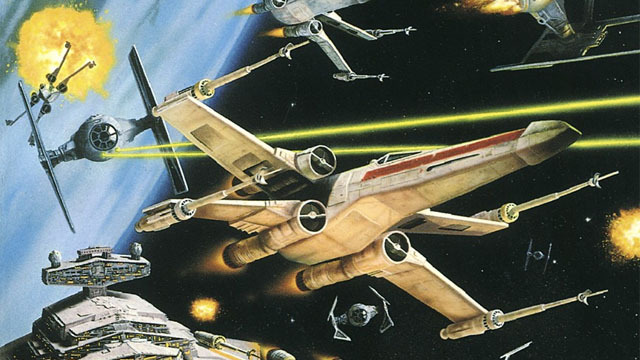 The Star Wars: X-Wing novels and comics cleverly took the focus away from most of the familiar characters in the franchise, and put the spotlight on Wedge Antilles and his Rogue Squadron pilots for their own adventures over the course of ten books and an ongoing Dark Horse series. 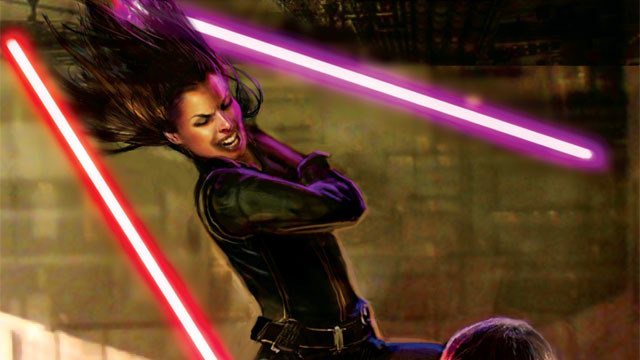 These Star Wars stories offered up a different side of the Expanded Universe and gave readers great new characters like Baron Fel and Ysanne Isard. 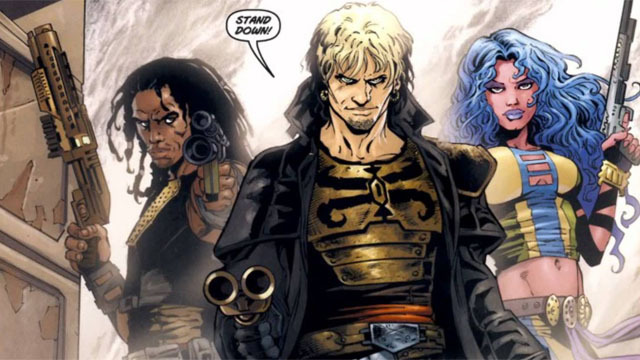 All of the continuity changes would make it difficult for a direct adaption of these stories, but we’ve come to believe that the characters are more important than anything else. As long as we can have some of our favorites back, we’ll be happy. Let’s just come out and say that an adaptation of the Heir to the Empire trilogy is never going to happen. The revised history has simply changed too much to allow it. But damn it, we’d still love to see an animated Heir to the Empire even if it had to be completely out of continuity! It’s that good, and this was the story that reignited interest the Star Wars franchise years after Return of the Jedi. Heir to the Empire’s Grand Admiral Thrawn proved to be such a popular villain that Star Wars Rebels is using him this season in the new continuity. It would be amazing if Mara Jade, Talon Karrde, and the other memorable characters from this trilogy were also introduced into the new continuity. That would only be a consolation prize for losing the best stories that they ever appeared in, but it would be better than nothing! The New Jedi Order is another story that will unfortunately be unusable thanks to the widespread continuity changes. That said, the most interesting thing about this storyline is the way that it broke free from the classic Rebel vs. Empire storylines and gave the Star Wars Expanded Universe a new threat. The Yuuzhan Vong invasion actually had the classic Star Wars heroes on the ropes against a nearly unstoppable alien threat. Those events never happened in the new timeline, but these novels could provide future Star Wars movies with enemies that we haven’t previously seen on screen. Look, we loved The Force Awakens, but at some point, people are gonna get tired of all the damn stormtroopers. Bring on the Yuuzhan Vong! Legacy of the Force is tricky, because The Force Awakens and the new Star Wars films appear to have already gone in a similar direction. 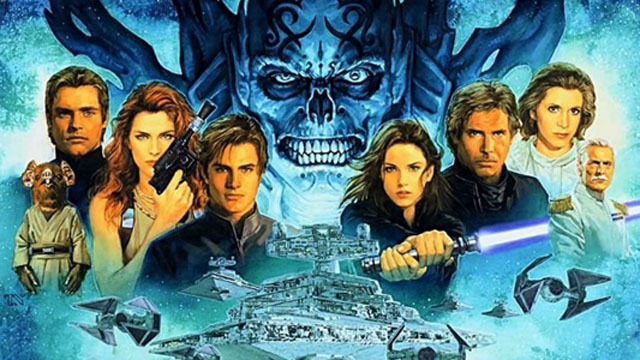 Legacy of the Force primarily followed the fall of Han Solo and Princess Leia’s son, Jacen, as he became a dark lord of the Sith, while Jacen’s sister, Jaina went on a quest to stop her brother at any cost. The Force Awakens kind of covered that territory with Kylo Ren, even though we’re not sure if Rey is a Solo, a Skywalker, or even a Kenobi. It just feels like a very familiar conflict to the fans who read this book series. Star Wars: Legacy was one of our favorite Dark Horse Comics titles, because it jumped several decades ahead and completely revamped the Star Wars Expanded Universe with Cade Skywalker, a descendant of Luke who had more in common with Han Solo than his famous ancestor. In the new continuity, we don’t even know for sure if Luke has any children, so that’s the first stumbling block there. The new regime also doesn’t seem to be in any hurry about setting any stories after the events of Episode IX. At the very least, Marvel has started reprinting the Star Wars: Legacy series as trade paperbacks. We may never get another opportunity to see this far into the future of the franchise, but it was a great comic while it lasted. What EU Star Wars stories would you like to see on the big screen? Share your thoughts in the comments below!